To tie a bow around something is a classic remembrance technique. This gorgeous Sparkling Bow ring at every glance will remind you of loves promise. Bows are fashion staples and this chic, sparkling bow ring in feminine pink is a must-have piece. 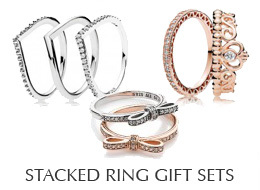 PANDORA Sparkling Bow ring in PANDORA Rose™ with 28 bead-set cubic zirconia.